The San Cristobal Oficios, discontinued in 2011, is a rich medium bodied Corona, 5.3” (135mm) long, of 43 ring gauge, and comes in a 25 cigars box. San Cristobal is a Habano brand created to pay tribute to Cuba's historical capital. The new vitola called OFICIO is named after what used to be Old Havana's main street and where people of such "noble trades" as scribblers, intellectuals and small cigar makers set up shops. 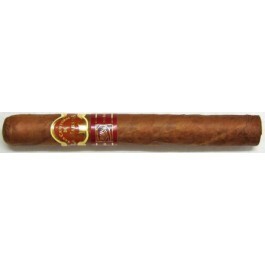 Released in 2006 by San Cristobal de la Habana, the Oficio and excellent cigar that contains a great myriad of flavours. This is a very good smoke right now and will be tempting to put away and let sit. Box of 25 cigars especialy made for La Casa Del Habano.